For the collector who strives for authenticity. Each decal stencil design has been painstakingly reproduced from original selector marking examples from their respective countries. "Good enough" is not an option. Each design is layered on the highest quality materials, giving you a great finished product. Not only will I offer examples from each country, I will also offer period variations that are correct for the year or arsenal you are trying to recreate. 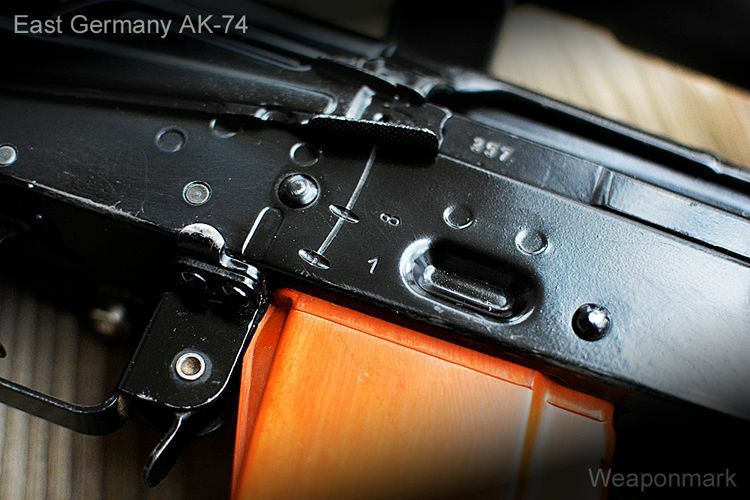 Looking for that late model Russian RPK, or that early Tula AKS-74u? You will soon find it all here. If you have a particular variant that you are interested in that has not been released yet, feel free to send a PM, as interest in a certain variant will help me organize the workflow. MANY variations are in the works, even the rarest variants. Worried that it's not that easy? No need to be, as it's quite easy, and actually fun! However, because I want you to be a pro at the first try, I will include some scrap decal pieces for you to practice with. After all, my offerings are only as good as your finished results. Please do not ask about making custom decals. I do not have the time. Standard selector decals are ON SALE $10.00 each. Arsenal markings are ON SALE $8.00 each. Other decal sets are priced as marked. All prices are SHIPPED Ppal, M/O, trades accepted. Please see trade list at bottom. Type 56-1, Triangle 66 Military Trunnion Arsenal marking with Chinese characters. $10. 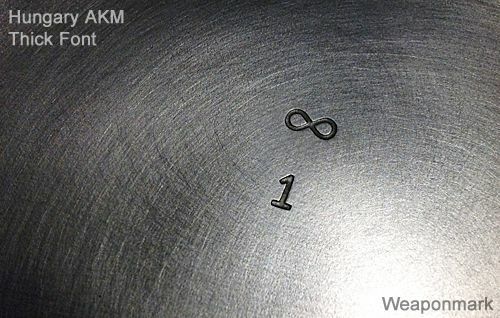 MPi-KM 1964-1974 AKM Straight Lettering. 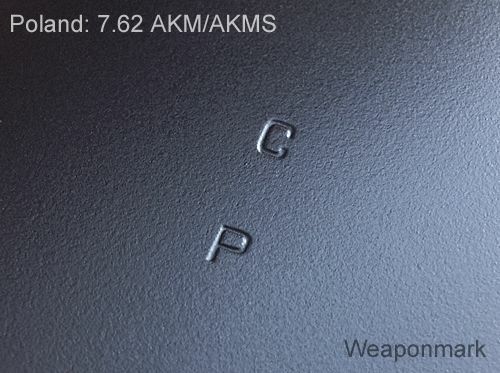 MPi-KM 1975-1990 AKM SLANTED Lettering. 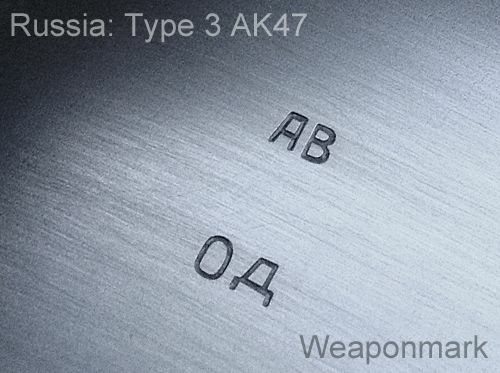 Stamped AKM thick font. 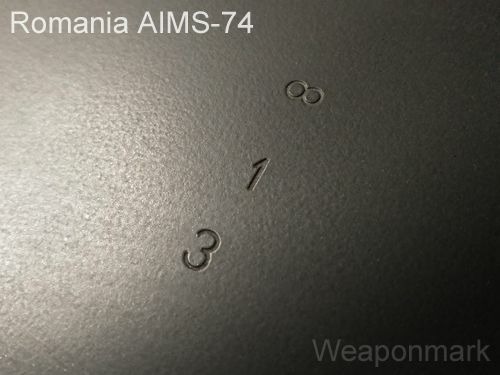 Perfect for your AMD-65 and AMMS. 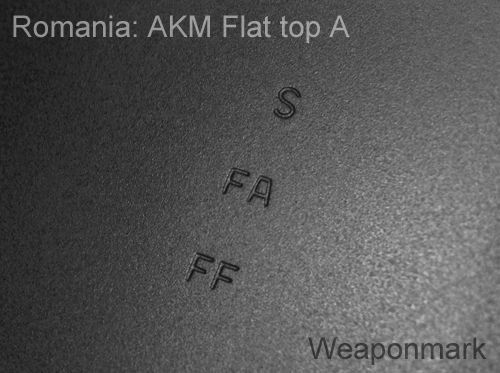 Stamped AKM thin font. Alternative option seen on various models. 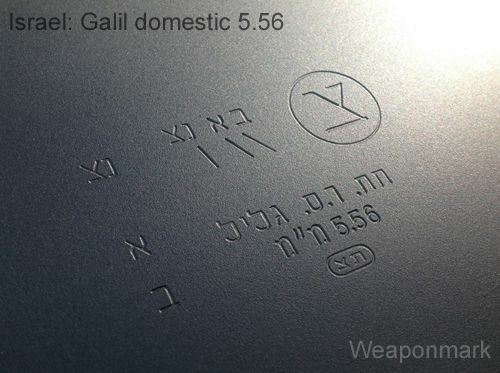 Galil SET OF 3 decals for your 5.56 receiver. 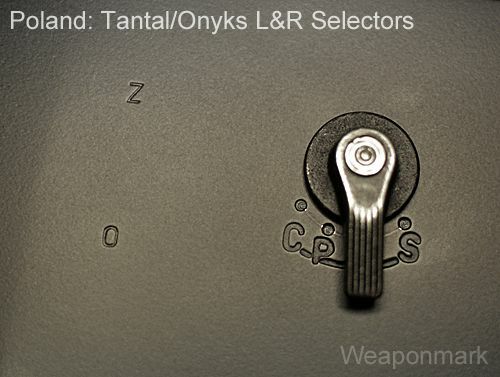 $25 for the set that includes both left and right side selectors, and the info plate with 5.56 caliber. I will also throw in the Zahal crest. Four pieces total. Decals are available individually at the standard pricing. Photos of the milled arsenals to follow. They look killer. Tantal / Onyks two piece set $15 shipped! Arrow in triangle Cugir Arsenal marking for those new virgin kits on the market. Late 60's-Early 70's MOLOT RPK, RPKS, etc. 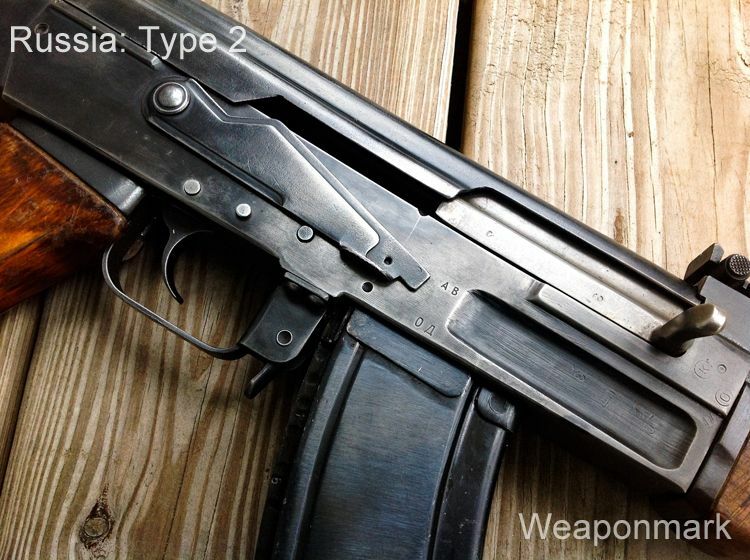 Late Tula AKS-74u from a 1992 example. -Early handmade style URJ from the earliest M70 & M72 up to around 1988. Wondering how deep you can go? 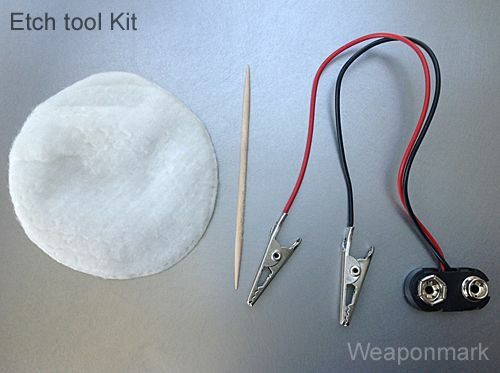 A simple, reusable, and very effective tool offered to enable great results at little cost. Using this tool offers a slower, predictable result. There are many variations on the Internet for etching tools. It doesn't have to be confusing or costly. $5.00 Shipped with the purchase of a decal! Yes! I have made this as easy as possible for the home builder. A full tutorial is located HERE. Decals are not reusable. Thin vinyl with a strong adhesive on your receiver will tear apart upon removal. It's the nature of the beast, but even so, still remains the most economical way, and more importantly, the fool proof way to have great, and accurate looking markings. Why would I use this when (company X) offers markings on the receivers they sell for an additional $20? Beside the fact that this offering is much less expensive, and a faster turn around than sending out for engraving, you will end up with a finer, more original looking example which will translate to a better selling point to the more discerning collector down the road. If that's not enough, compare the examples with what you would get for that additional $20 on the most popular receiver builder out there. Can I use my own tool to etch with these decals? Absolutely! However, the detailed instructions that I have posted here are to be used with the inexpensive tool that I supply. With a varied mix of voltages and amperage from different homemade devices out there, your results will be just as varied. Too much voltage and amperage seems to result in a marking that is a bit rough and unrefined. The 9v or another low voltage source takes slightly longer, but results in a smoother result. How much etching can be done with a battery? Quite a few actually. I did 10 sets with one new battery, and it was still working fine. I didn't feel the need to keep using it, as it certainly proved itself. Do I need anything else other than the decal and tool to make these extremely accurate markings? Yes. Warm water, table salt, 9v battery, transparent tape (scotch tape, etc), rubbing alcohol for cleaning the surface before decal application. Basically, items you should already have around the house. Will the etch be deep enough? You will have no problem going to the correct depth. Can I etch larger decals with this tool? 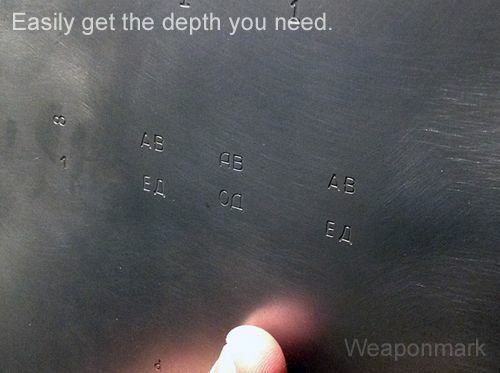 I would advise against etching anything much larger than standard selector markings with this particular tool. That is what this tool is designed for. NO I DO NOT. Not at this time. The bulk of work is focusing on accurate selector markings at this time. It is VERY time consuming to bring you the best! If you have any of these items and want to work out a trade for decals, let me know. Thanks for your support. Let's take building to the next level! Last edited by Weaponmark; 10-01-2018 at 11:27 PM. 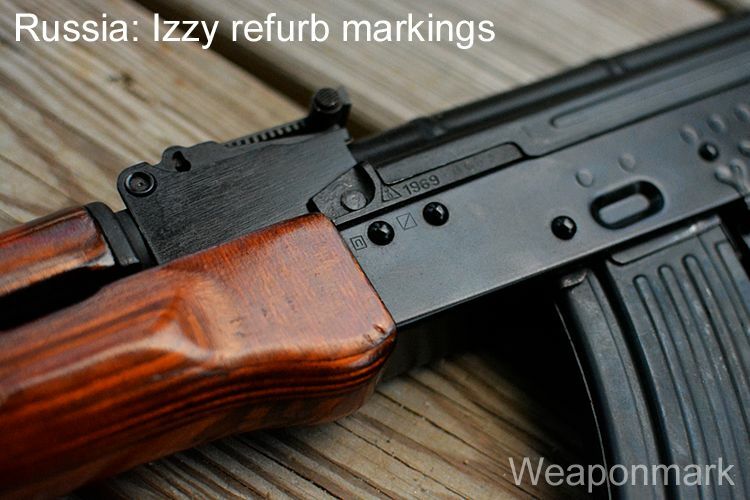 I'm interested in a couple decals/stencils for the selector markings on a 1988 Bulgarian RPK-74. Don't think there would much interest in those though. PM sent on Romy stencil and etch kit. 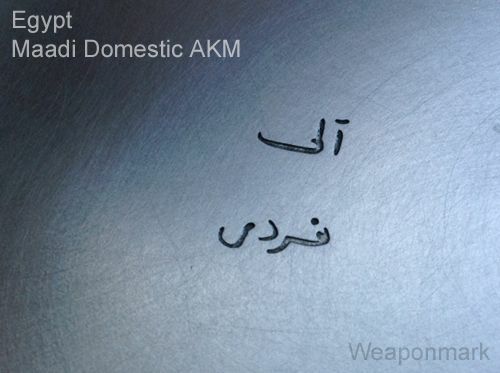 I'll take a Maadi Arabic stencil and an etching tool. The AK is a platform, because you can stand on it. One Maadi Arabic stencil and an etching tool Please. PM to follow. I will take: 2 Russian, 1 Hungarian AKM, 1 Yugoslavian and 1 etching tool kit. PM inbound. I"ll take the Yugo sets per our p.ms. Thank you. Last edited by gotmine; 08-12-2014 at 03:37 PM. 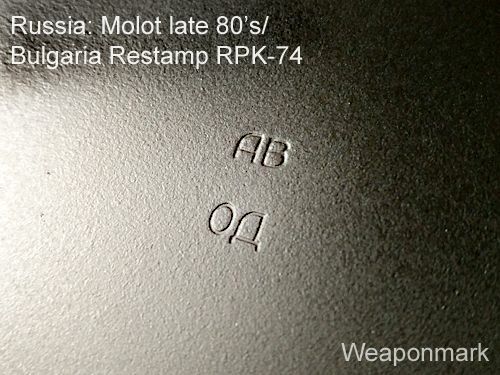 I will take two (2) "Russia Molot Late 80's/Bulgaria Restamp RPK-74" decals. Any way to do NFA engraving with this? Last edited by eightyduece; 08-30-2014 at 09:33 AM. 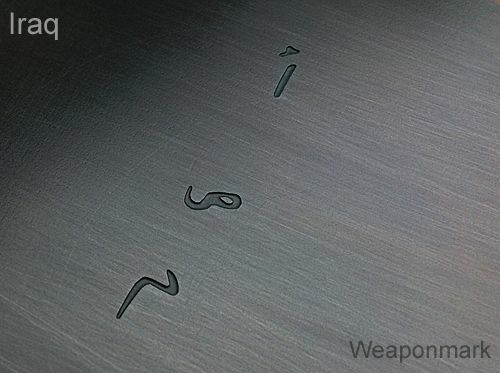 Can you incorporate selector notches in the stencils? The one who trades his FREEDOM for SECURITY does not deserve EITHER! I'll take a Hungarian set and an etching tool. PM sent. I'll take two Bulgys, two Yugos, and a tool. Payment sent. Thanks for stepping up to fill this need!! Ill take Egyptian with tool. Pm paypal info! *edit* kit arrived very easy to do! Will order again. Go to tutorial and scroll down for my Egyptian pic. If u want to see what a noob did. If i can do it u can too.